It was quoted by Nobel Prize-winner Nelson Mandela in his inaugural address, and perhaps you’ve heard it before. I keep the full quote in my desk, and I refer to it often. Listen closely and consider your own life as you listen to Marianne’s words. It’s a powerful statement. It’s worthy of some reflection and quite true. You can accomplish very little alone. Almost everything you want to be, do, or have is dependent on your ability to communicate effectively with others. You may need to gain support for your ideas, generate a true partnership and service of a worthy goal, or overcome opposition. That’s assuming you’re living a commitment to an extraordinary life. Earl Nightingale quoted James in his Lead the Field program more than 30 years ago, and 100 years later at the dawn of a new millennium, James’ statement is just as true, and, ultimately, attitude is much of what this program is about. It’s a key foundation piece in the adventure of living an extraordinary life. If you desire real success in life; if you want better health and fulfilling relationships; if you want meaningful work and a deeper connection to your spiritual life; in short, if you want to live an extraordinary life, you need to learn more about and begin to apply the skills of awareness, responsibility, and communication. Even a small improvement in understanding and application will make a huge difference in your experience of living. That’s the purpose of this program. It simply asks that you take some time to look at your life and how you can have it work better — in your relationships with family and friends, in your workplace, in your community, and in your relationship with yourself. 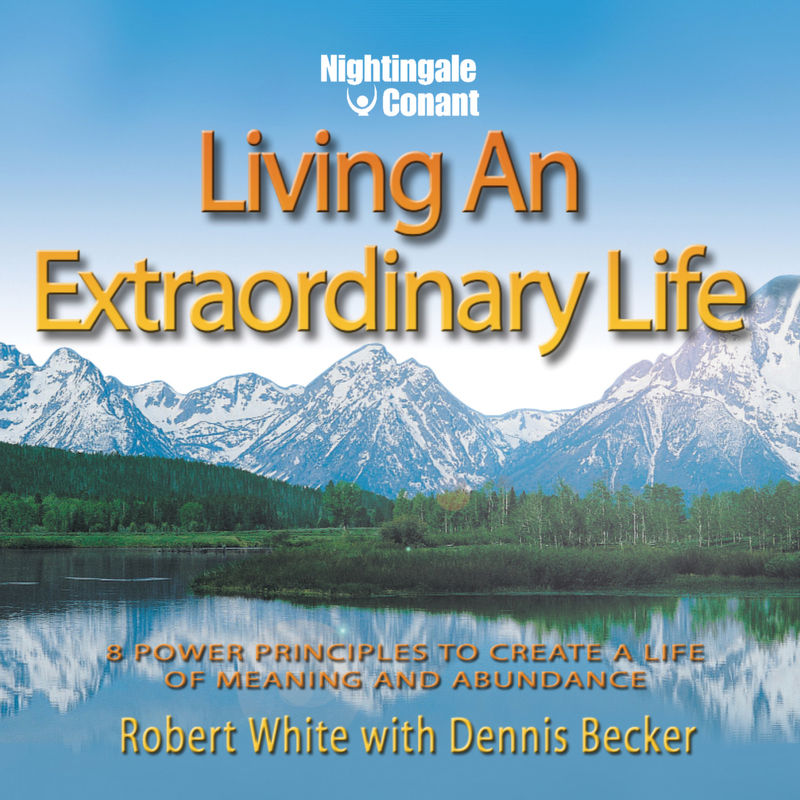 Based on intensive work with over a half million people worldwide, Living An Extraordinary Life acknowledges that we all have what it takes to live a life of fulfillment, success, and abundance — if we are willing to take charge of our lives and discover the true meaning of personal responsibility. In other words, knowing how to live an extraordinary life is not a mystery. In Living An Extraordinary Life, you’ll learn eight power principles that you can apply in all areas of your life. Throughout the program these eight power principles will be built upon, session by session, so you can live a life of true magnificence. Around the beginning of the 20th century, psychologist William James said: “The greatest discovery of my generation is that a human being can alter their life by altering their attitude.” That is what Living An Extraordinary Life: Eight Power Principles to Create a Life of Meaning and Abundance is all about. It can become the blueprint for taking your life to a level you once only dreamed of. Stop, Look, Choose and Do It! Living an Extraordinary Life at the special price below. — I can select one of two ways of ordering.